Owe! I hurt my rotator cuff...I think. If you have any type of pain in your shoulder, there's a chance you may have injured your rotator cuff. Although there is a lot of structures that make up the shoulder, the rotator cuff is one of the more commonly injured of these structures. The rotator cuff is the name given to a group of four different muscles: The supraspinatus, the subscapularis, the infraspinatus, and the teres minor. These four muscles, when they contract, create different movements at the shoulder. The tendons of these four muscles merge together to form the shoulder capsule. This capsule covers over the humerus (aka arm bone) and the scapula (aka shoulder blade). The humerus sits within the scapula like a golf ball and golf tee. The capsule helps hold this golf ball and tee together, creating stability in the shoulder. Thus, the rotator cuff's job is to create stability during movement of the shoulder. 2. How do I know if I hurt my rotator cuff? It is best to be examined by a professional, but some common signs and symptoms with rotator cuff injuries are a pain felt “deep in the joint”, pain and/or weakness with trying to lift the arm to the side or in front of you, and/or pain while sleeping. Of the four muscles, the supraspinatus is the most commonly strained one. In younger individuals, rotator cuff injuries occur more commonly due to a traumatic event, such as a fall. Older individuals are more likely to have rotator cuff injuries due to repetitive movements, without any traumatic events. We mentioned that it is best to be examined by a professional before starting any rehabilitation. This is due to the shoulder being a very complex structure. 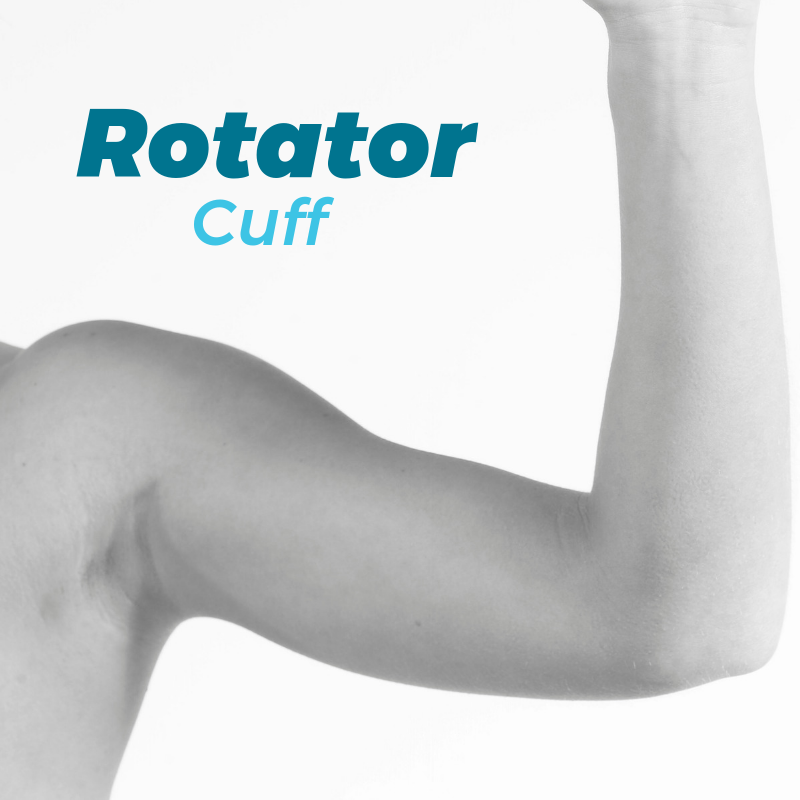 Shoulder impingement, biceps tendinitis, labral tears, and osteoarthritis are just a few of many other disorders that can mimic the signs and symptoms of a rotator cuff tear. All of these have different treatment and rehabilitation protocols. 3. Can rotator cuff injuries heal without surgery? Yes, they can. It depends on the severity and cause, but a combination of soft tissue manipulation I'm thinking this shoulder be "....combination of soft tissue manual therapy..." and rehabilitative exercises have been shown as an effective method for resolving rotator cuff injuries. 4. How can I prevent my rotator cuff from being injured? This question has the same answer as if you asked us how to prevent hamstring strains, quadriceps strains, or any other muscle strain you can think of. If your rotator cuff muscles are strong and mobile enough for the activities you perform, you should be able to mitigate many injuries. Injury occurs when the load placed on the muscle is greater than the capacity of load that the muscle can withstand. For example, if you’ve never lifted weights before and on your first day you try lifting 400 lbs off the ground, you’re likely going to hurt your back. Your back muscles are not strong enough to endure the load of the weight. This same principle applies to the rotator cuff muscles. To sum that up, adding strengthening and range of motion exercises into your exercise plan can help prevent injuries. If you have no current shoulder injuries, try mixing these into your workouts to help strengthen the rotator cuff muscles! The views expressed in this article intend to induce conversation. This article is not, nor is it intended to be, a substitute for professional medical advice, diagnosis, or treatment, and should never be relied upon for specific medical advice. Ask your doctor about any issues you may have.